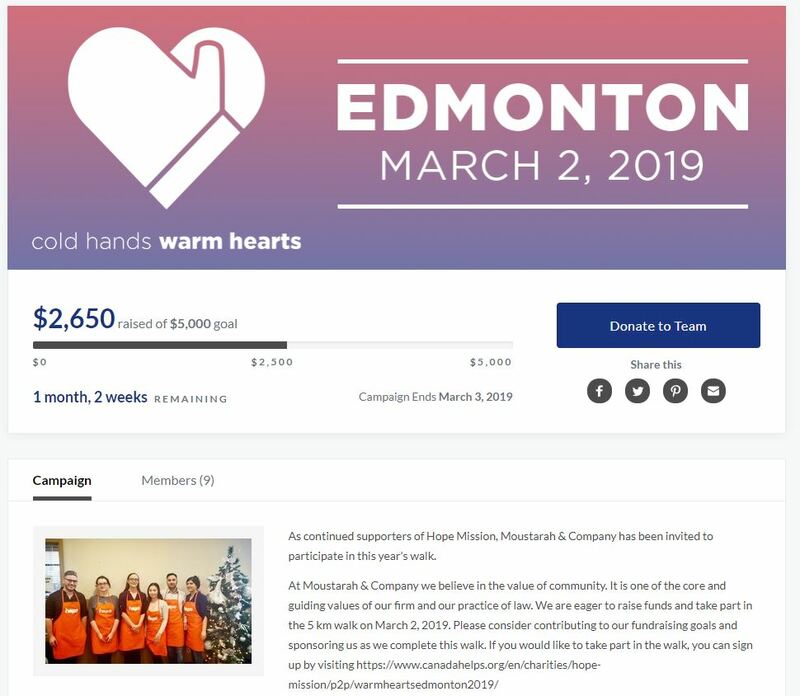 As continued supporters of Hope Mission, Moustarah & Company has been invited to participate in this year’s Cold Hands Warm Hearts 5 km walk to raise funds for Hope Mission. At Moustarah & Company we believe in the value of community. It is one of the core and guiding values of our firm and our practice of law. We are eager to raise funds and take part in the 5 km walk on March 2, 2019. Please consider contributing to our fundraising goals and sponsoring us as we complete this walk. Our current fundraising goal is $5,000 for this very worthy cause. We hope that you will help us to raise funds for some of the most vulnerable and underprivileged members of our community. To sponsor our team, click here to donate! Next PostNext I have been Arrested – What are my Rights?